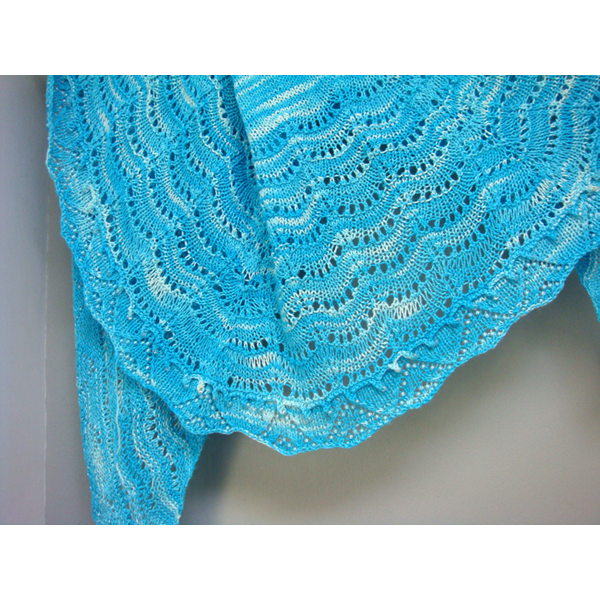 The Summer Sky Shawl in a lightweight wool makes for a delicately light, lacy knit with motifs accentuated with beads. 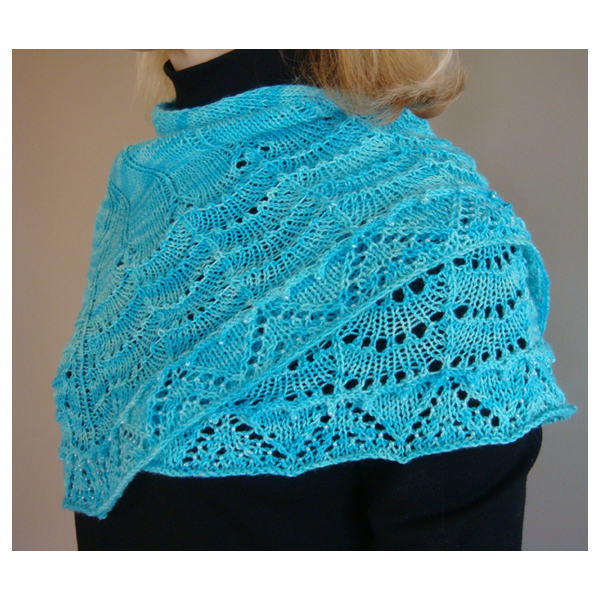 The verticals transition uniquely into ripples that end with a beaded tier, and are followed by a beaded lace motif at the edge. 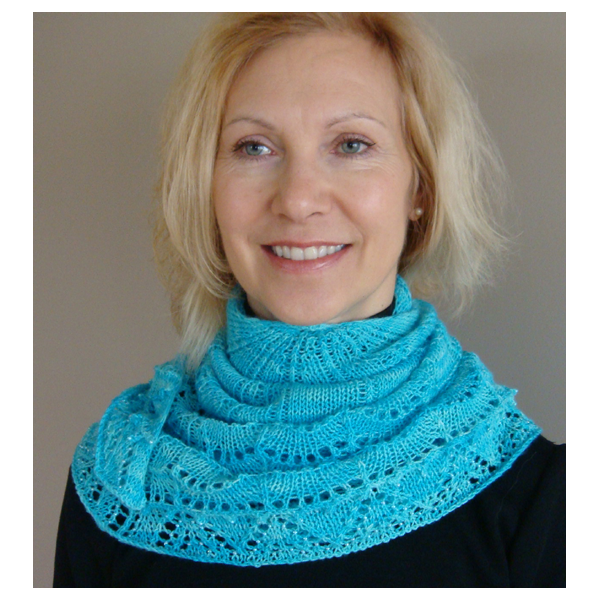 The first version (see garden photos) prompted a commission to replicate the pattern and create a new piece for the yarn distributor's trunk show. Yarn is Done Roving's Frolicking Feet. 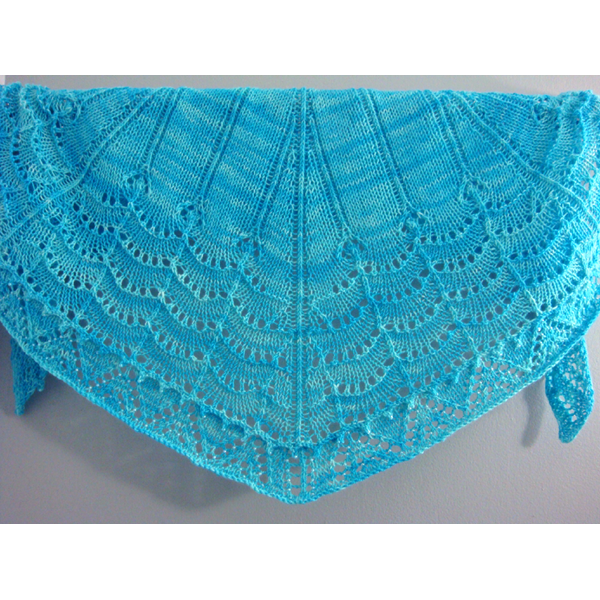 The Summer Sky Shawl pattern is available online.